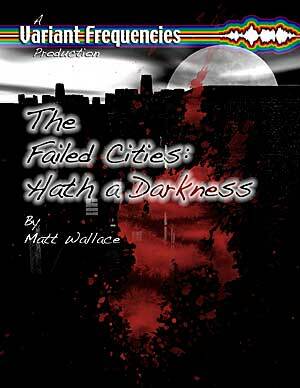 time, enhanced with original illustrations by Rick Stringer.About THE FAILED CITIES: HATH A DARKNESS . . .
violence and the briefest, most bittersweet moments of joy. Happy Holidays from the entire crew of Variant Frequencies! This entry was posted on Monday, December 17th, 2007 at 10:05 am and is filed under Friends, News, Podcast, sci-fi. You can follow any responses to this entry through the RSS 2.0 feed. Both comments and pings are currently closed.